American start-up Packet Host has opened a new availability zone in Japan, offering bare metal cloud service powered by 64-bit CPUs designed by ARM. The NRT1 zone in Tokyo is Packet’s fourth global location, following New York (EWR1), San Jose (SJC1) and Amsterdam (AMS1). The service is hosted in Equinix’s TY5 data center, and offers a choice between traditional x86 and alternative ARM architecture. “With today’s launch, automation-focused customers throughout Asia can quickly provision powerful single-tenant Intel and ARM infrastructure, enabling both cloud native or hypervisor-based workload,” said Zachary Smith, CEO at Packet. Packet is a start-up that specializes in bare metal cloud services for developers. Most of its funding comes from SoftBank, a Japanese telecommunications giant which acquired ARM earlier this year. With Packet’s recently introduced Type 2A instances, the company became one of the first in the world to offer ARM-based public infrastructure. The new point of presence in Tokyo will expand these services to Japan, China, Korea and Australia, as well as the rest of the Asia Pacific region. Packet will offer three Intel-powered server configurations, as well as its ARMv8 machines – marking the first time an ARM-based cloud has been available in Japan. 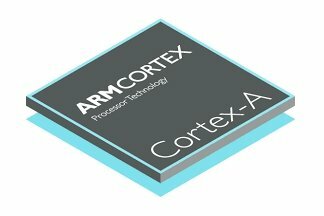 The ARM servers used by Packet are made by Foxconn and built around two 48-core Cavium ThunderX chipsets. Since the servers provided are bare metal, customers will get the ability to install any operating system and hypervisor they choose. Customers will also get access to Packet’s IPv6-native network for advanced networking features.